Open House 9/15 & 9/16 (1pm - 3pm) Enjoy this peaceful, family friendly, safe community with amenities galore! End unit location offers lots of light, park right outside front door, spacious kitchen with pantry has lots of storage, s/s appl included, gas stove, granite, quality finishes through out, 5 star energy efficiency, 2 car garage, like new! Listing provided courtesy of Windermere Realty Trust. The content relating to real estate for sale on this web site comes in part from the IDX program of the RMLS™ of Portland, Oregon. 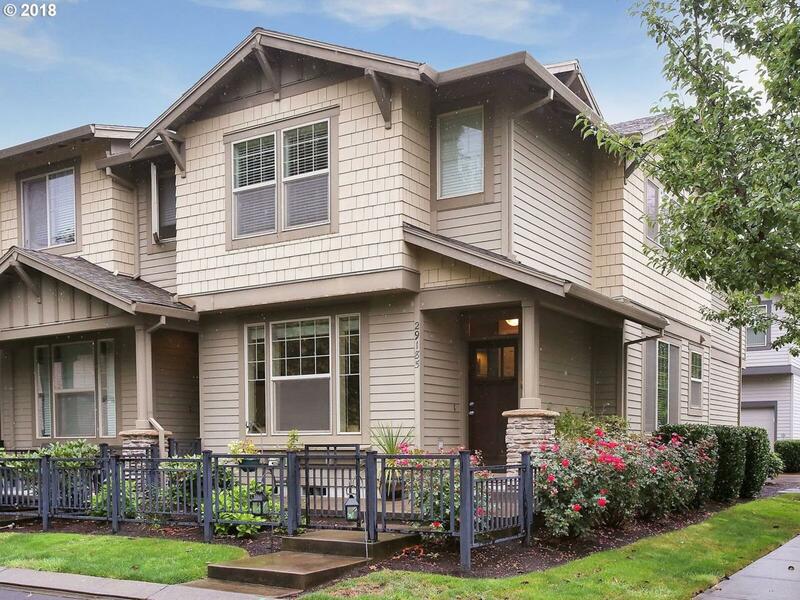 Real estate listings held by brokerage firms other than Stellar Realty Northwest are marked with the RMLS™ logo, and detailed information about these properties includes the names of the listing brokers. Listing content is copyright © 2019 RMLS™, Portland, Oregon. Data last updated 2019-04-23T19:59:13.Data deemed reliable but not guaranteed. Some properties which appear for sale on this web site may subsequently have sold or may no longer be available. IDX information is provided exclusively for consumers’ personal, non-commercial use, and may not be used for any purpose other than to identify prospective properties consumers may be interested in purchasing. All information provided is deemed reliable but is not guaranteed accurate by RMLS™ or Stellar Realty Northwest and should be independently verified. Stellar Realty Northwest is Portland's most innovative real estate team.